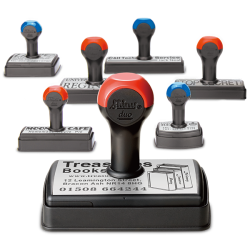 Ask your dealer about DUO MOUNTS when ordering Rubber Stamps. Made from 75% Post Consumer Recycled Plastic. Each handle has an anti fungal agent built-in.